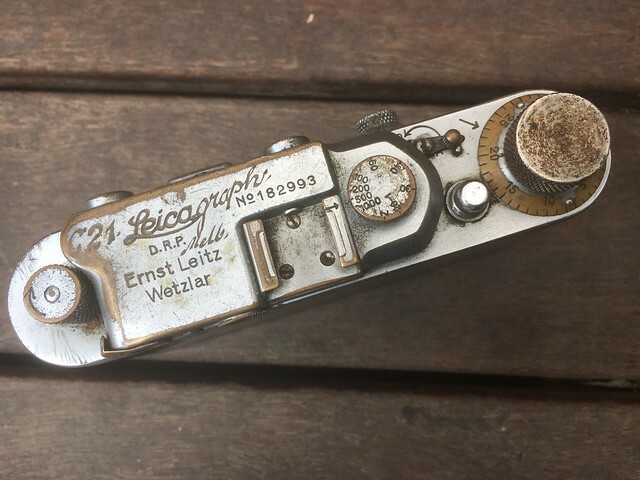 This Leica IIIa might not appeal to everyone and the engraving isn't military.. However, it does provide quite an interesting history especially for those of us in Australia! 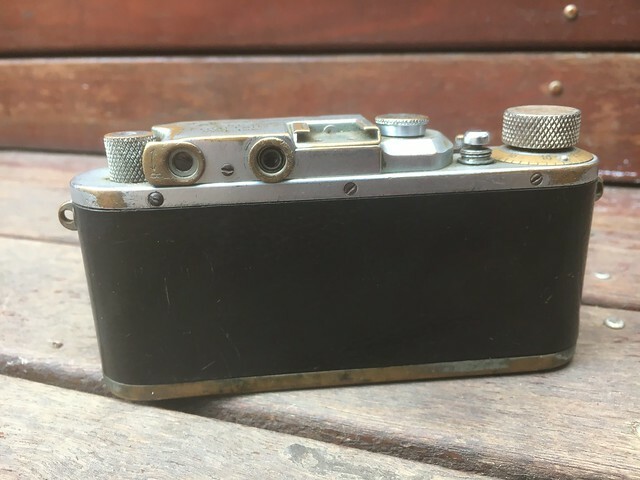 I think this camera was used at the Melbourne branch of Leicagraph on Flinders Lane which opened in 1935 (the same year this camera was made). 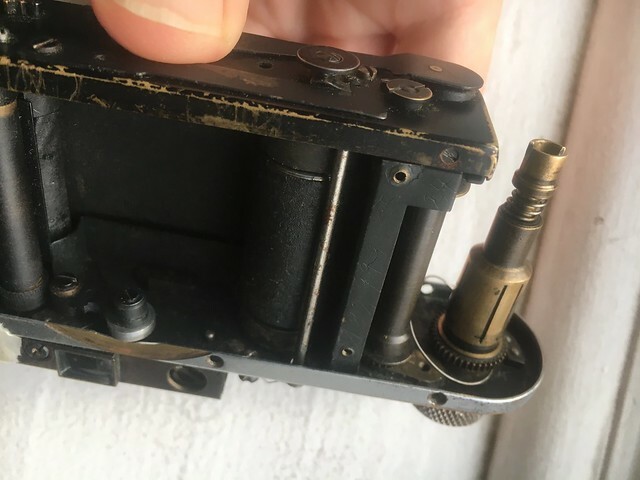 I had no idea that anything like this ever took place and that this camera could well be connected with this company! Dang, that looks like it had a hard working life. In the Sydney office alone they employed 25 photographers on the street who were using around 550 films each week in the 1930/40 period..
A very nice camera. Great to see one that tells a story. Many will tell you that 'condition is all' but this one transcends that! 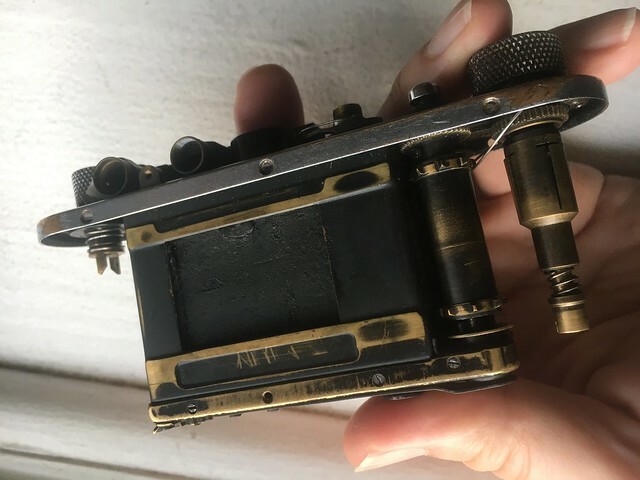 That's really cool that you found out the history behind that camera. Reading about the "THE STREET SNAPSHOT CRAZE" reminds me of what happened in the States back in the 1970's during the "Jim Fix Running Craze". Photographers used to line up on the running courses and take pics of the runners as they came by. Then they would get your address from the race registration and mail you a little 35mm contact print, with an address where you could send them like $10 and they would print and send you a 5x7 of you running the race. I wonder if they got that idea from your mates in Australia, Dave? It has " PATINA" ! To use a current euphemism that is popular these days to describe old clunky beater cars in a good light, instead of saying what they really are..rusted out pieces of worn out junk that belong in the scrap yard. that's freaking cool. I really dig that the vulcanite is so worn that it's almost completely smooth. Cameras this beat seem to be way more rare than mint ones. best of luck getting 'er up and running again! Thanks all! Can’t wait to get it up and running again! Leicagraph Pty Ltd - to acquire the business of photographers carried on under the style of Leicagraph Co. Capital 5000 pounds. It's a pity film cameras don't have a frame-ometer, Dave, as I suspect that one's shot a lot. If you pull the pressure plate out and take a look at that it may give a clue by the depth of the film transport path. An auto electrician was looking at my old BMW bike's alternator and guessed it had done more than 300,000 kilometres by the depth of the grooves on the commutator. 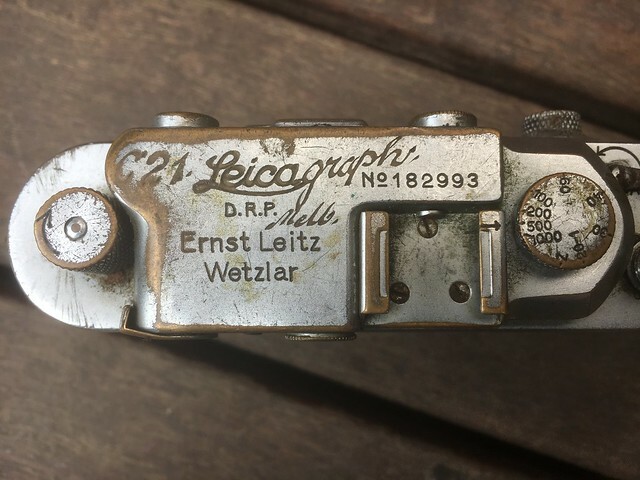 Great find - I have always loved cameras with a history. Looking forward to see the progress of the project. You've done a few Barnack resurrections already, so I guess you aren't diving in the deep end. Hoping to have a look inside over the weekend. I think it’s going to be quite a project... but I love a challenge!! Compared to the last 3a I did there is a lot more of it there to start with!! I’ve started the restoration process. Having some trouble removing the winder (after set screw removal) so I ordered a wrench to hopefully get things moving! The curtains will have to be replaced too as the first appears perished and stuck..
Good to see that you got yourself started. Looking forward to see what you find along the way ... I am sure you get it up and running. 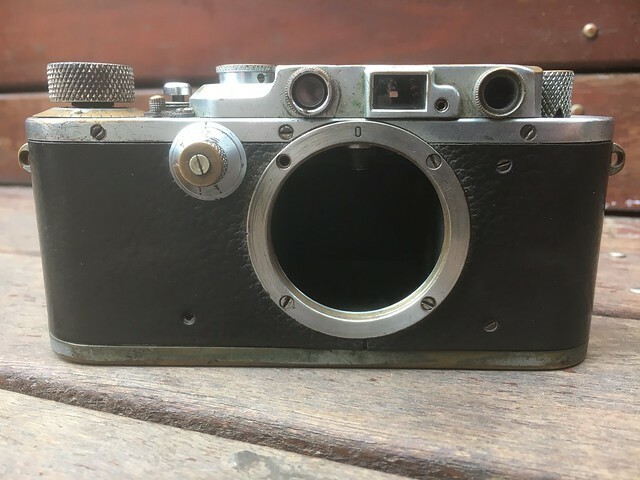 That is a great camera! I love the engraving, and what an interesting story. Since you suspect someone attempted to repair it sometime before. Do all the serial numbers match? When I took my IIIa apart there were engravings on the inner body with the serial numbers. I suspect that is not an additional spring but rather the spring clutch for the wind on that has been "toasted". Likely by someone who insisted that the wind knob is supposed to rotate counterclockwise to advance film. Some ham-fisted ***: "How could that work if you wind clockwise?" I had a Canon IIF that had that same problem created by the same kind of person doing just what I described. Serial numbers all match too which is great... hoping to have a better look at the mechanism over the next few days when I remove the curtain guards. All times are GMT -8. The time now is 04:16.